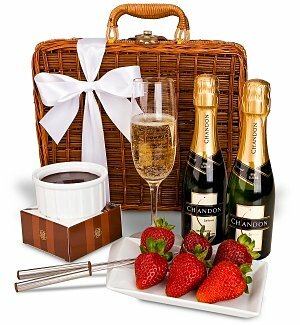 Nothing says I love you like a sweet treat and a glass of lavish champagne. Why not pop open a bottle of bubbly and feed your lover some yummy chocolates for a night of passion and romance! Champagne is of course a favorite choice to pair with chocolate, especially for a romantic occasion like an anniversary or Valentine’s day. 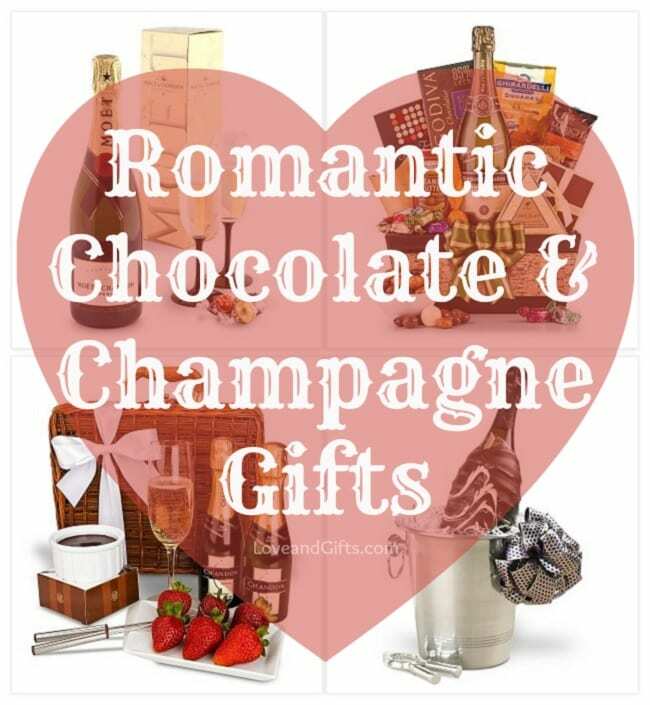 To wow your sweetie, we suggest this luxurious Chocolate & Champagne Gift which comes complete with a bottle of fine Moet champagne, a toasting flute set and a box of 6 Lindt truffles in a wooden crate. The Champagne & Truffles Gift Basket is also a wonderful option featuring a bottle of Segura Viudas Brut Reserva, a fabulous Spanish champagne served all over the world, along with an assortment of award winning chocolates all wrapped up in a keepsake gift basket. Get interactive and turn your gift in to a date night with the Champagne & Fondue for Two Gift Basket which comes with two small bottles of Chandon Brut Classic Champagne and a chocolate fondue kit for two that includes porcelain ramekins, fondue forks, and chocolate mix. You can easily take your chocolate fondue kit and champagne on the go in the adorable petite picnic hamper it comes packaged in. One of the most impressive and unique gift ideas that combine champagne and chocolate is this opulent Champagne Luxury gift. 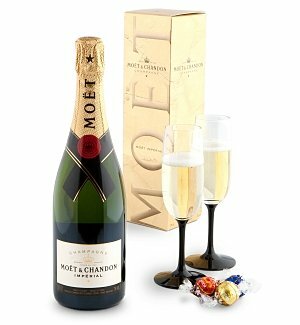 This extravagant gift consists of a bottle of premium champagne (choose from Gosset or Dom Perignon) hand dipped in a blend of gourmet white and dark chocolate and accompanied with a champagne chiller and silver-plated cork pliers. Peel away the chocolate from the bottle with the neat ribbon “zipper” to enjoy as you and your love take sip after delicious sip. 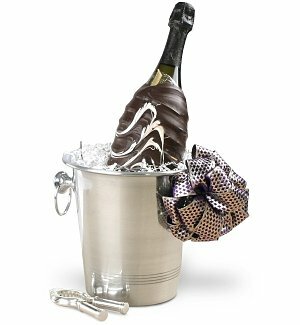 These and other premium Champagne Gift Baskets are available at GiftTree.com , the number one site for gourmet gifts that ship super fast and come wrapped and ready for giving.